See more top 100 products in other categories. Trim Solutions QuickTrim System is an exterior PVC flat stock board that provides a fastener-free finish for exterior home trim. QuickTrim System PVC boards come standard with a nailing flange and starter strip, allowing the boards to be installed without nailing or screwing through the face of the product, eliminating the need for unsightly plugs or caulking and ensuring a clean, finished look every time. 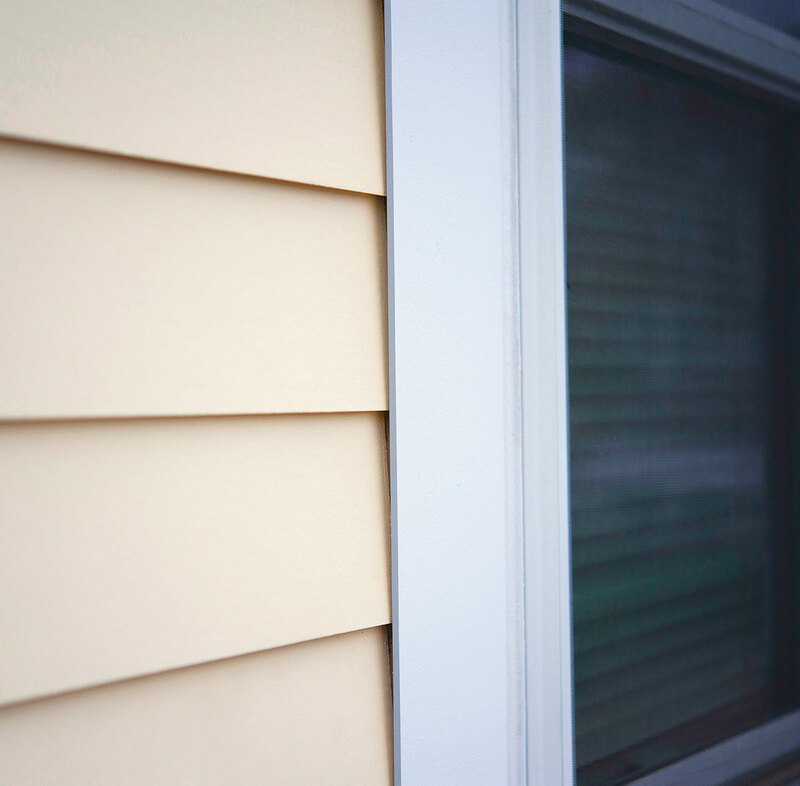 The system offers an optional j-channel for use with vinyl siding, and the PVC flat stock boards are low-maintenance, durable, and weather-resistant. The Cliffstone and European Ledge stone veneer collections from Eldorado Stone combined modern looks with textural details for a distinctive finish. Cliffstone comes in dimension options of 1.25”–6” H x 4”–22” L x 1”–2” D and nine styles, including Montecito, Cambria, and Whitebark. European Ledge comes in panels of 4.5” H x 24” L (tip to tip) with an average thickness of 1.5” and is available in six styles, including Iron Mill, Linen, and Cottonwood. Kleer trimboard products from the Tapco Group use expanded cellular PVC to give homeowners the look of natural wood without requiring the upkeep. 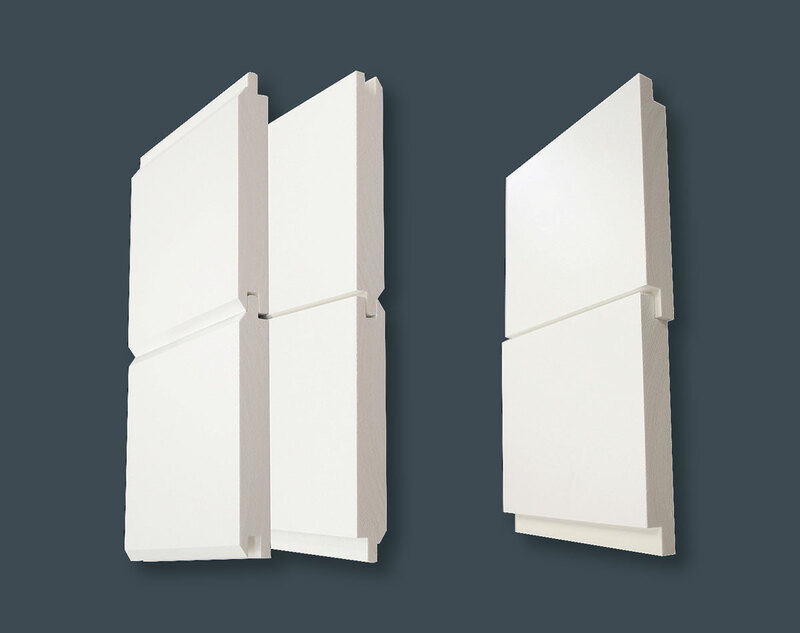 Three options are available: trimboards with 1/4” nailing flange cutouts, preassembled trim corners, and TruEDGE trimboards. TruEDGE technology resists dirt, making boards easier to clean, and UV inhibitors prevent yellowing, eliminating the need for paint. 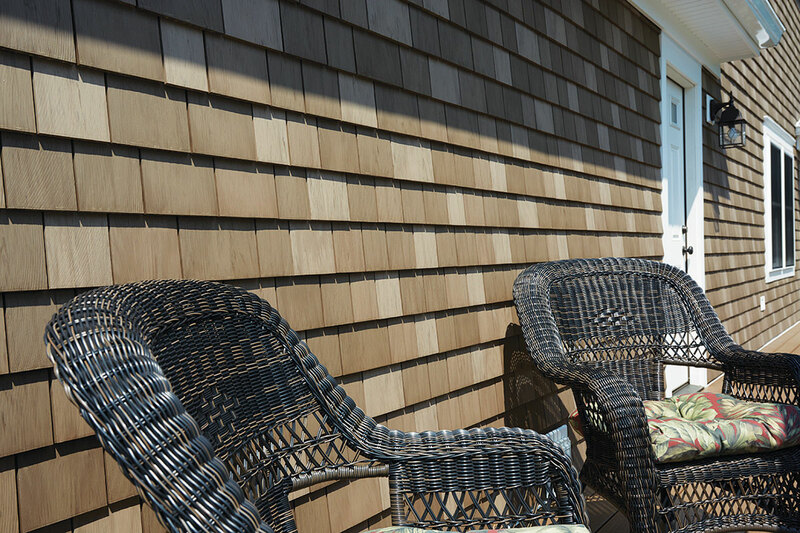 Shiplap and Nickel-gap Boards for siding, interior walls, and ceilings now are available in stable, maintenance-free, easy-to-install premium PVC from Versatex Building Products. Starting in 2017, the firm’s dealers and distributors across the U.S. and Canada began offering brand-new Versatex shiplap profiles, as well as the reversible WP4 nominal 1” x 6” profile, which retains the V-groove effect on one side, but now features a nickel-gap option on the reverse. 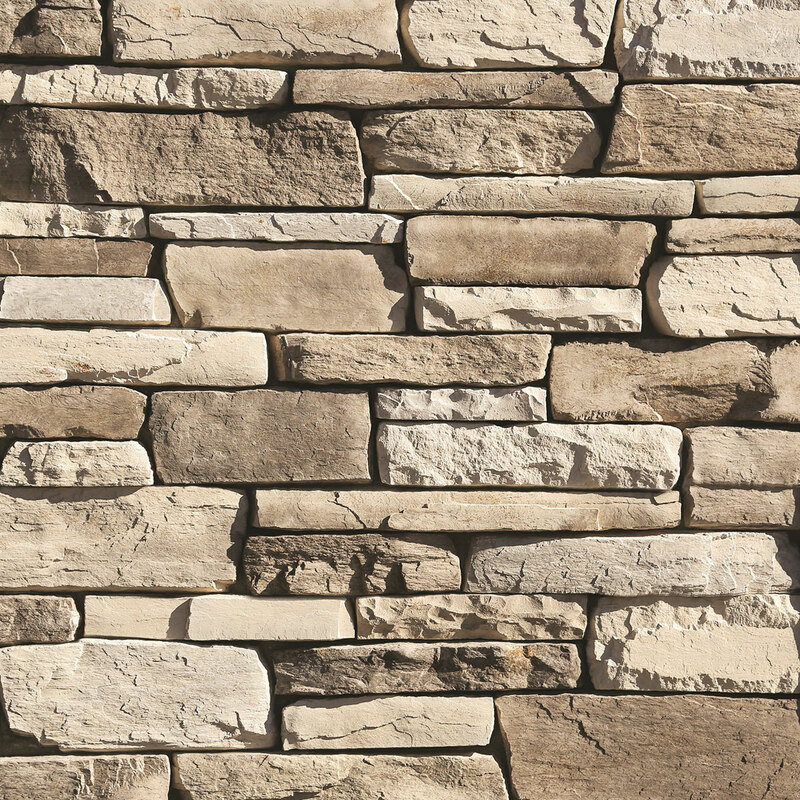 ProVia’s Manufactured Stone Veneer combines deep shadow lines with authentic coloring to produce the look of stone. With eight collections available, including Ledgestone, Dry Stack, and Terra Cut (shown), and an array of hues for each, the product can be easily customized for any project. ProVia selects natural stones from various geographic regions for each master mold, and each stone’s color continues throughout, rather than only appearing on the surface. 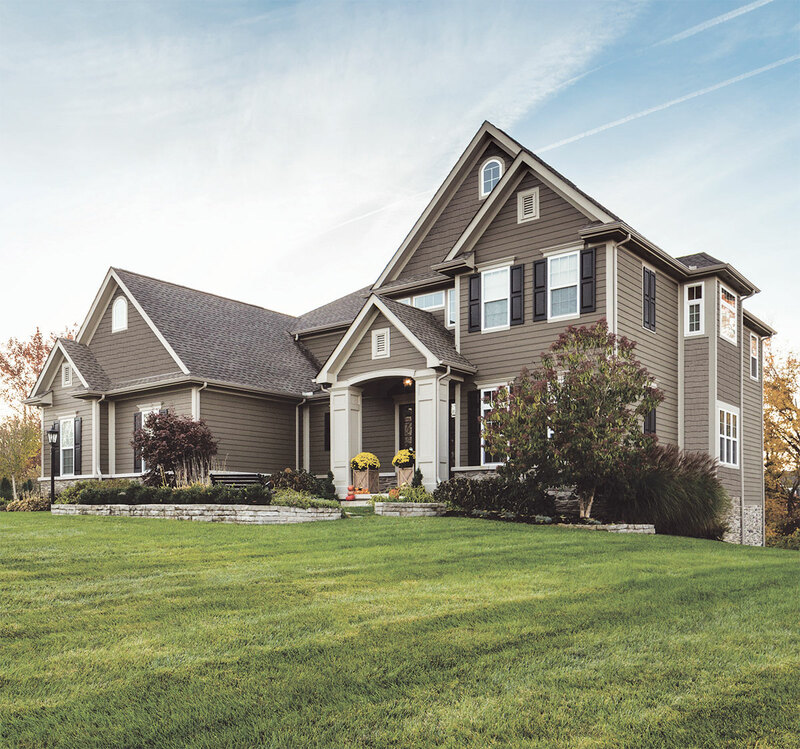 HardieTrim boards from James Hardie give homeowners an opportunity to accentuate corners, columns, fascia, doors, windows and more, giving a final touch to a home’s design. Available in six styles, including smooth batten boards, rustic grain batten boards, and crown moulding, HardieTrim boards offer plenty of options options for finishing off your home. ColorPlus technology is available for all HardieTrim products. 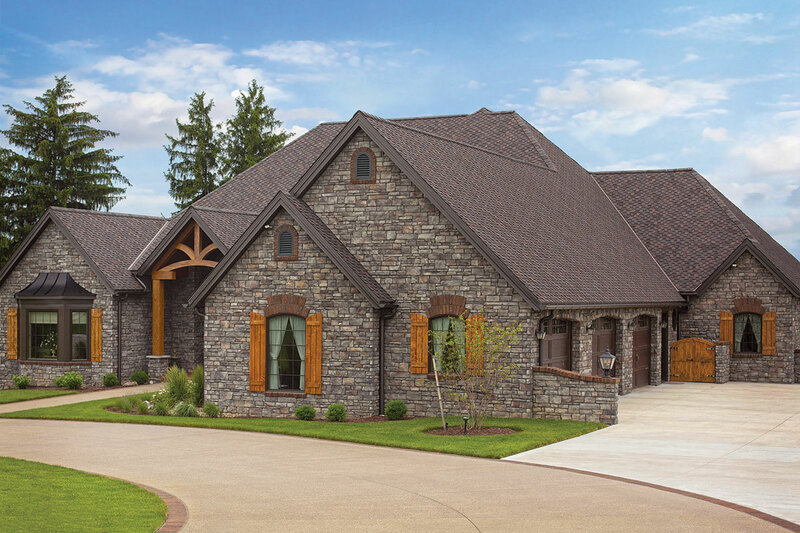 Available in eight styles, the Cedar Impressions polymer shingles and shakes collection from Certainteed recreate the appeal of freshly sawn wood using patterns and textures, adding the low maintenance quality of polymer. Cedar Impressions products include reinforced nail slots and are available in 46 color choices, including 30 solids and 16 CedarLife color blends. The available styles are divided into three overarching categories: Sawmill Shingles, Perfection Shingles, and Rough-Split Shakes. 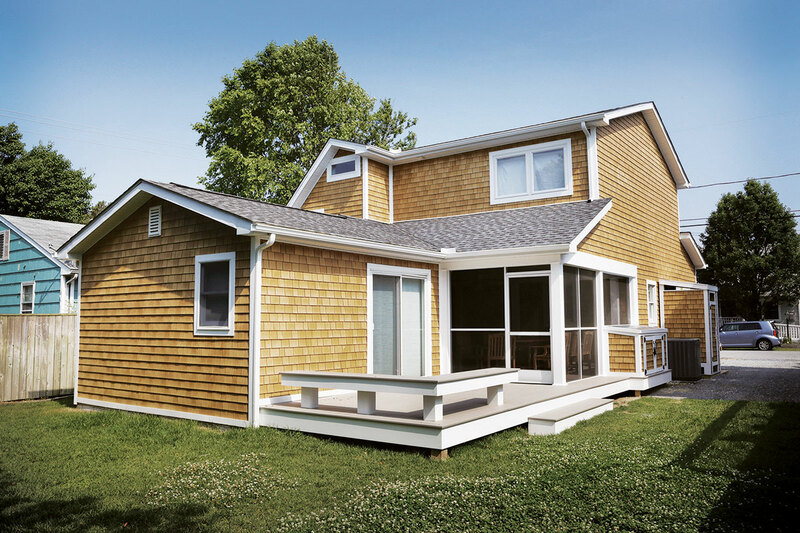 Beach House Shake, hollow polypropylene extrusion that comes in 34-inch-long panels, was created by Tando Building Products for homeowners looking for a low-maintenance exterior with the look of cedar. 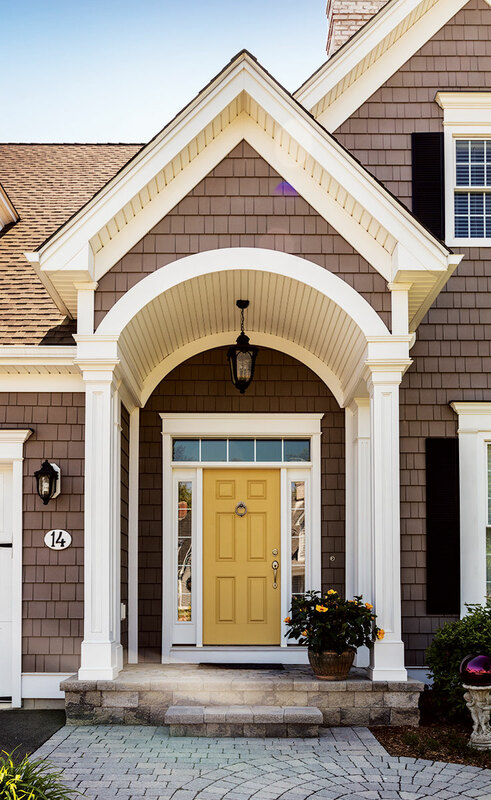 It is installed just like vinyl siding (though Beach House Shake is thicker) and is available in three colors: Hatteras, Pacifica, and Sandcastle (shown). It is backed by a 50-year performance plus/10-year “looks like new” warranty. 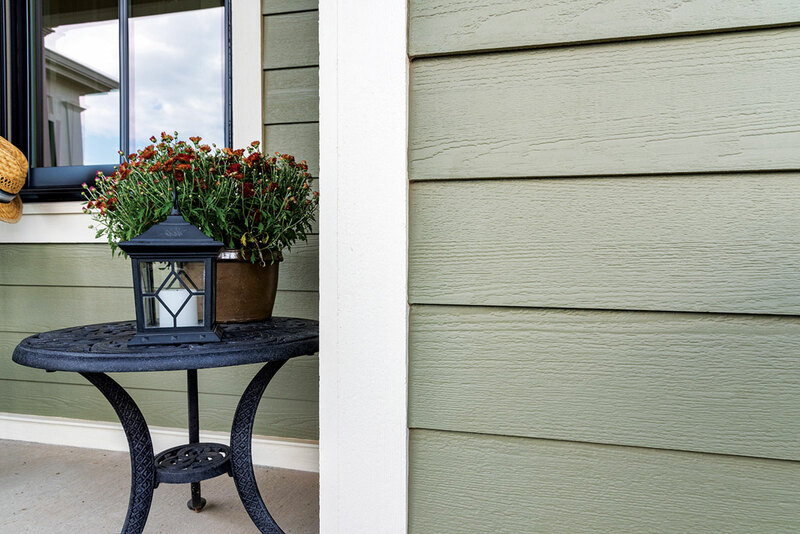 The 16-foot length of the Smooth Finish Lap Siding from LP SmartSide can result in faster installation and may create fewer seams than traditional 12-foot siding. It is pre-primed for exceptional paint adhesion and is available as fiber substrate and in widths of 5.84-inch, 7.84-inch, and 11.84-inch. See 2017's top Siding & Trim products.